When you commission a pet portrait with Imagine Art, you're not just getting a 100% original hand-painted work of art; you're getting one on one customer service with an actual human being! Unlike other portrait services that take weeks to get (often automated) responses, we can speak directly through email or over the phone about your vision, your ideas, and most of all, your pet! We can discuss sizes and design options, as well as which photos work best for your portrait. You'll get the individualized service your deserve, straight from the artist herself! Don't be fooled by other portrait services that offer canvas portraits in minimal time frames! These companies often mass produce portraits by simply printing your photo on canvas and adding clear brushstrokes to give the illusion of paint. Custom pet portraits by Imagine Art are done one at a time! That means each portrait is given uninterrupted attention to detail to guarantee the best quality portrait I can give! Your portrait is hand-drawn on archival quality sanded paper and meticulously painted with high-quality vibrant pastel sticks and pencils. 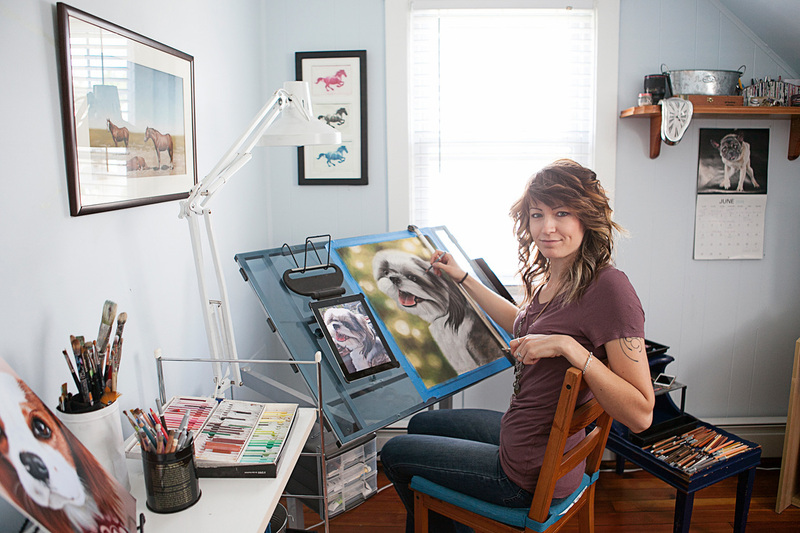 Pet portraits by Imagine Art don't get shipped until you're 100% satisfied!